At StageHouse, we often ask our customers if they would ever consider selling a car without cleaning it first? This basic principal also applies when people decide to sell their home but it is often overlooked! Property is the most expensive asset we are ever likely to sell, so surely it is only logical to make it look its best? Our Home Staging services prepare your property so it can be shown at its fullest potential and appeal to the widest possible audience. Completed correctly, staging can help you achieve the highest price for your property in the shortest timeframe. Both Directors of StageHouse are also Senior Consultants on the Ann Maurice House DoctorTM Network, which assures you of the high standards of our work and the level of expertise we have to offer. 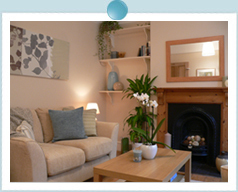 Our home staging consultations start from £175+VAT for a two hour appointment. Each project is priced on an individual basis.